Now Wireless is a leading supplier of MMS, SMS and WAP products to the mobile wireless industry, with the Now SMS & MMS Gateway product powering SMS and MMS applications for over 3000 customer installations in more than 125 different countries on six continents and dozens of island territories in between. The NowSMS MMSC is a powerful Multimedia Messaging Service Centre (MMSC), built into the Now SMS & MMS Gateway. 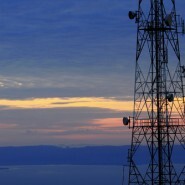 The NowSMS MMSC is unique in that it scales from simplified deployment in a mobile equipment testing facility to powering multimedia messaging services for a mobile operator network. The NowSMS MMSC has the capability to support person-to-person (phone-to-phone) MMS messaging, as well as application-to-person and person-to-application MMS messaging.The NowSMS MMSC supports standard MMS protocols published by the Open Mobile Alliance (OMA), 3GPP and 3GPP2, including the MMS Encapsulation, MM1, MM3, MM4 and MM7 protocols. MMS Encapsulation versions v1.0, v1.1, v1.2 and v1.3 are supported. 3GPP MM7 versions 5.3.0 through 6.13.0 are supported, in addition to several non-standard MM7 variations used by other major MMSC versions. Over 30 mobile operators are using the NowSMS MMSC as the primary enabler for multimedia messaging services on their networks, and actively utilizing the MM4 protocol to connect their MMSC to other mobile operator networks. Thanks to the flexibility and wide protocol support offered by NowSMS, many other mobile operators use NowSMS for enabling specific applications and services. The NowSMS MMSC is also widely deployed in mobile phone testing labs, integrating with test equipment vendors including Agilent, Anite, Anritsu, Rohde & Schwartz, among others. You’ll find the NowSMS MMSC widely deployed in independent test labs, mobile phone manufacturer test labs, and mobile operator test labs.